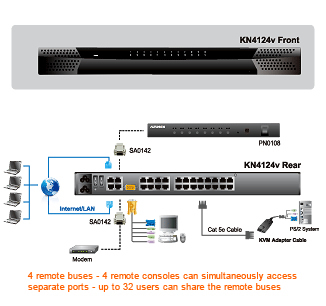 The Aten KN4124v is a 24 Port 5-User (1-Local, 4-Remote) CAT5 IP KVM switch w/ Virtual Media. This KVM over the NET switch allows local and remote operators to monitor and access the entire enterprise data center over the Internet using a web-based browser. 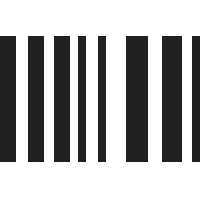 In addition, it offers out-of-band access - including external modem support - for BIOS-level troubleshooting when the network is down.